In the era of consumption upgrade in China, one fresh product e-commerce startup is growing rapidly. Missfresh started in 2014, and now receives over millions of orders per month, operating with an integral financing platform YiQiFin. Its growth is a typical example of how small and medium enterprises could be empowered by technologies. The use of the Internet and new technologies is the future of small businesses that need to consolidate and survive in a world with constant changes, concluded by the Asia Pacific Economic Cooperation (APEC) Summit’s Small and Medium Enterprises (SME) meeting which just closed this November. This provides a clue to solve an international issue, known as the dilemma of SMEs. CreditEase Boosts SME in China with Financing Support and More to Expect. What is SME’s dilemma? In the Asia-Pacific region, 97% of the enterprises are considered SMEs. And in China, the number rises to 99%. SMEs contributes 60% to the GDP, over 50% to taxes and 80% to job opportunities here. While the SMEs are making up a great part of the economy, up to 60% of SMEs do not have access to proper financial services. While the International organizations and governments are making efforts to improve the external environment for SMEs, CreditEase and its subsidiary YiQiFin, a digital enterprise financing platform, is also marching in the market trying to boost the development of SMEs by technology innovations. YiQiFin tailors financial services for the SMEs in the industrial chains. They facilitate the growth of SMEs in three steps, solving their urgent needs for credit and capital, equipping them with FinTech tools to boost their financial management efficiency and enhancing the corporate competence as a whole. 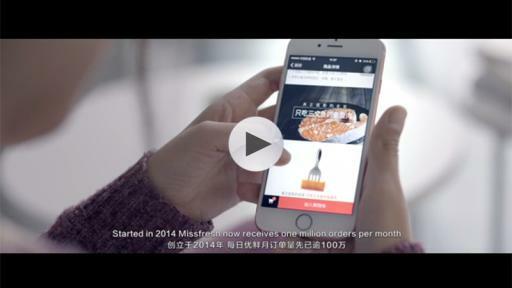 By YiQiFin, Missfresh was empowered with adequate funds to pay the upstream cost, to lower 5%-10% of the import cost, and to improve the capital turnover rate by 50%. With its innovative FinTech solutions for SMEs, CreditEase YiQiFin has now become one of the best practices in the SME supply chain financing industry in China. The Founder and CEO of Creditease Tang Ning attended the 2016 APEC CEO Summit at Peru as the only representative from Chinese FinTech sector, during which he shared with the world about the digital financial inclusion practices in China. Continuing over ten years dedicated endeavors to inclusive finance and wealth management in China, Tang Ning said that CreditEase is hoping to make finance better with technology.